On July 19th and 20th 1848, the first Women’s Rights Convention was held, resulting in the drafting of the Declaration of Sentiments which became the foundation for the struggle for full equality for women, including the right to vote which was not granted until the Nineteenth Amendment was passed in 1920. 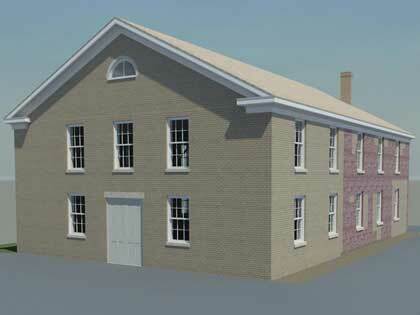 The 1848 Convention was held at the Wesleyan Chapel in Seneca Falls, NY. In the decades following the Convention, little attention was paid to the meeting place which went through a number changes. In the mid-1980’s, by which time the building was being used for snowplow storage, apartments and a laundromat, the National Park Service recognized its significance and purchased the Chapel as a National Historic Site. NPS, along with the National Endowment for the Arts organized a competition for a design that would commemorate the Convention utilizing the surviving fragments of the Chapel and some vacant, adjoining land. 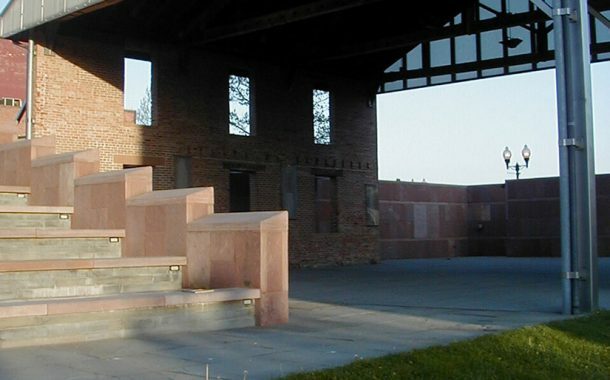 Beginning in 1985, NPS, along with the National Endowment for the Arts (NEA) organized a competition for a design that would commemorate the Convention utilizing the surviving fragments of the Chapel and some vacant, adjoining land. In 1987, the competition was won by Ann Marshall and Ray Kinoshita, then students at the Harvard Graduate School of Design. They joined forces with The Stein Partnership (now Elemental Architecture) to complete the project. 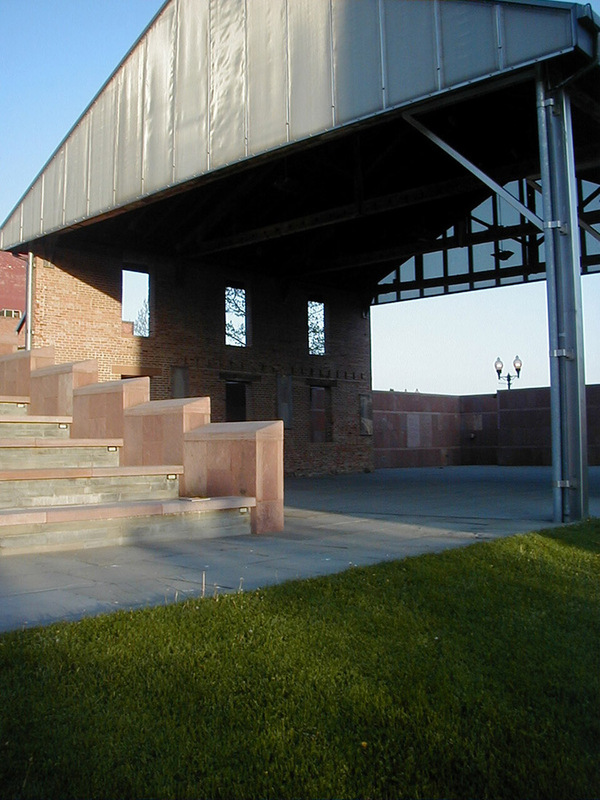 An adjacent building, originally designed as a car dealership but later used as a Municipal Building for Seneca Falls, was added to the scope to provide a Visitors Center and administrative facilities for the park. Two floors of interpretive material were designed by Chermayeff and Geismar. 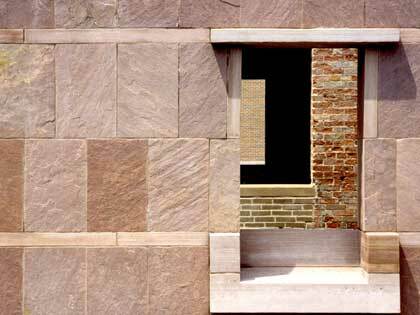 The completed Chapel Block which presented the Chapel fragments in a way that spoke compellingly to the neglect long accorded to women’s rights, was dedicated in 1993 on the 145th anniversary of the first Women’s Rights Convention. 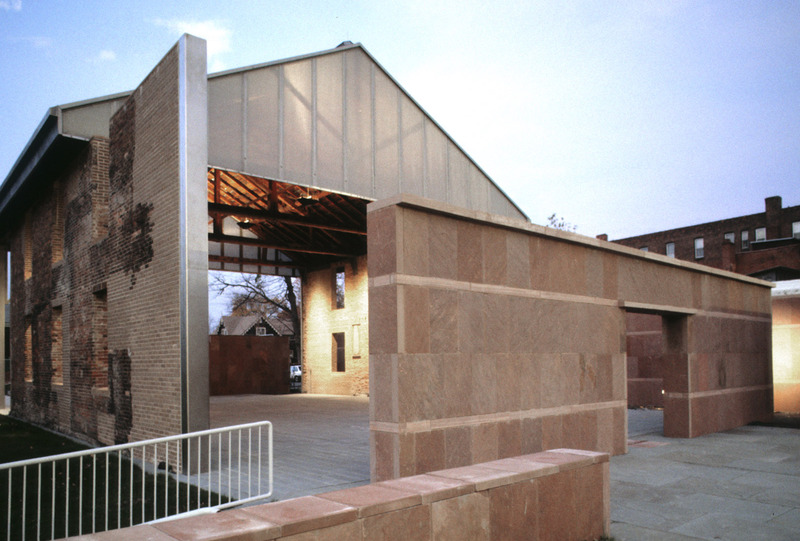 In 1995, it received a Federal Design Award from the NEA. To read more about the award-winning design here. 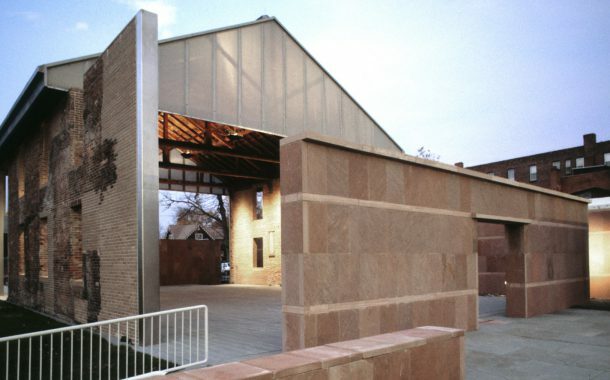 In 2009, in order to provide year-round climate mitigation, the NPS opted to fully enclose the Chapel space by reconstructing the exterior walls based on projections of what the original might have looked like. Although more versatile, the current configuration lacks the elegant poignancy of the original design and, further, compromises the authenticity of the visitor’s experience.